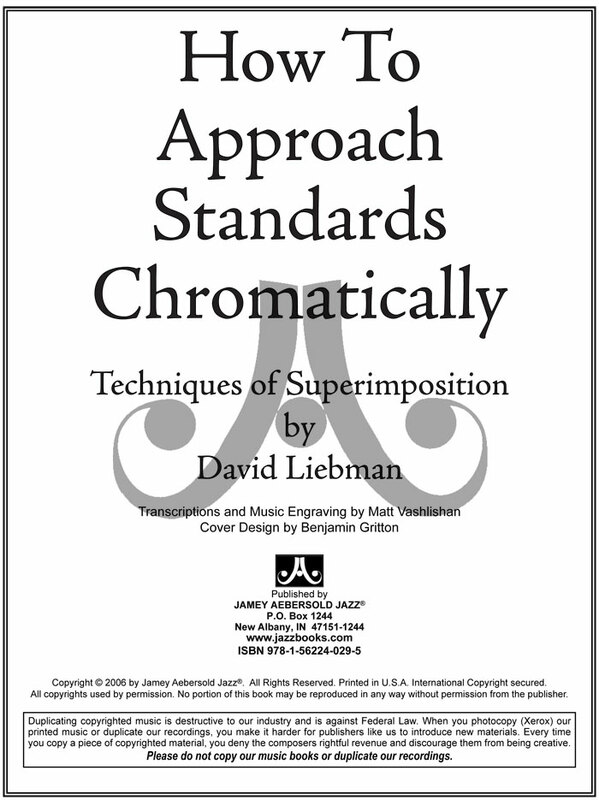 The most complete method for chromatic improvising over standards! 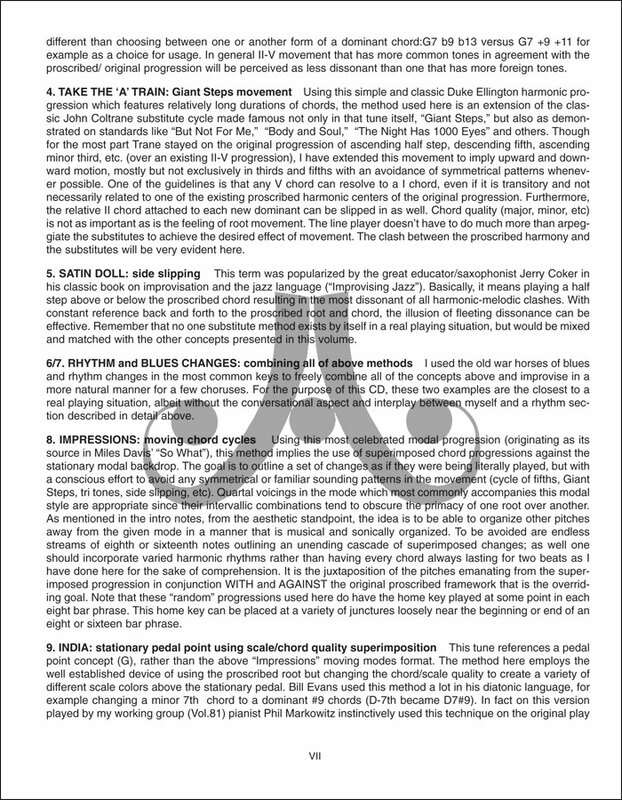 David clearly explains and demonstrates the art of superimposing chords chromatically over "standard" chord changes (using several popular jazz favorites as his vehicles) to play contemporary sounding jazz lines. 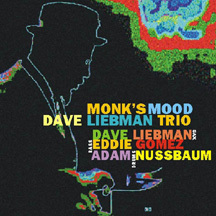 Includes standard and superimposed harmony for Girl From Ipanema, Donna Lee, Autumn Leaves, Take The A Train, Satin Doll, Rhythm and Blues Changes, Impressions, India, Loft Dance, and A Love Supreme. 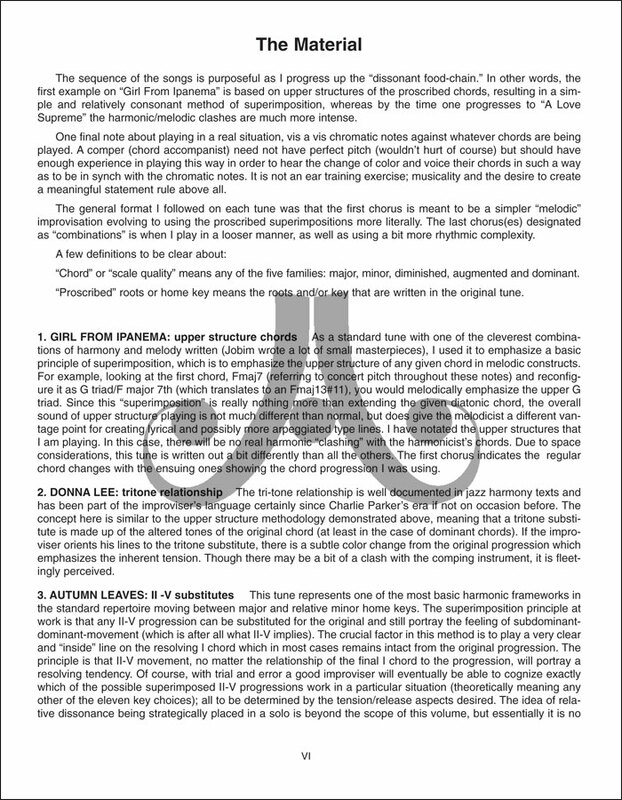 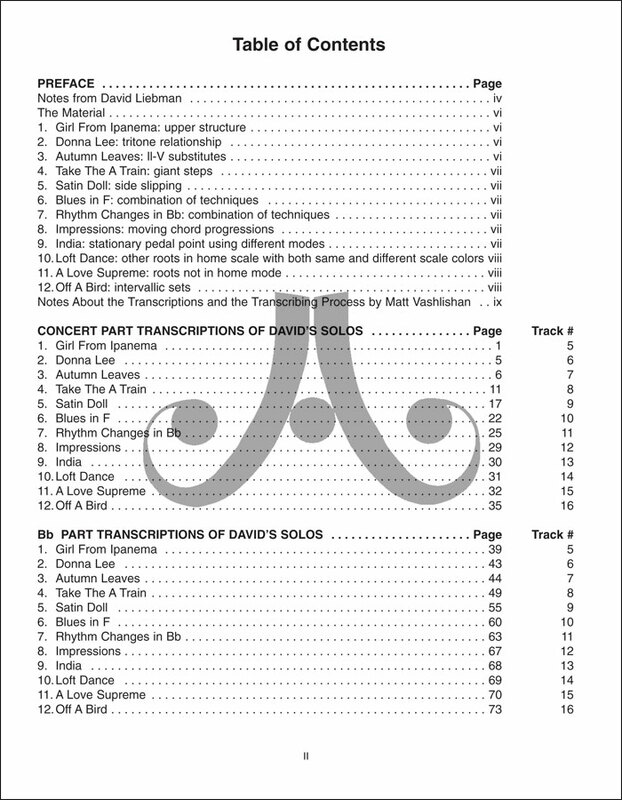 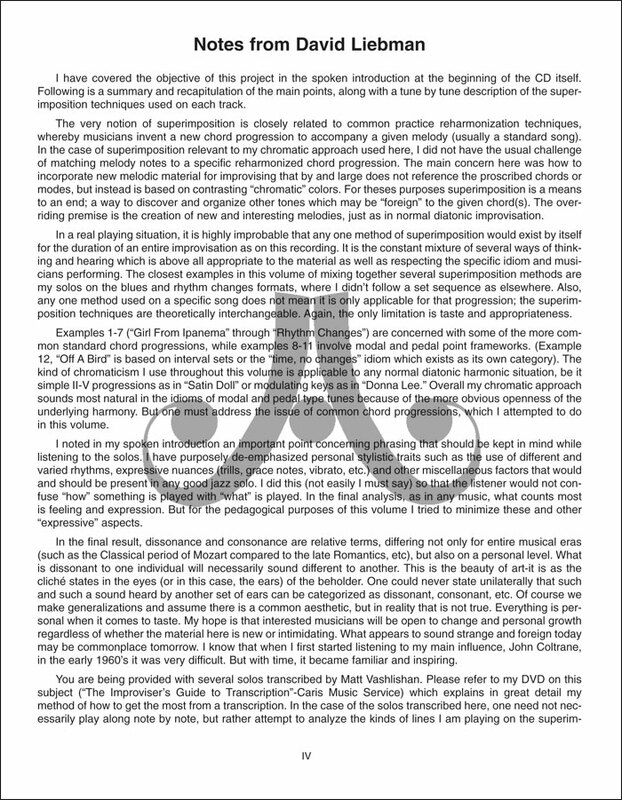 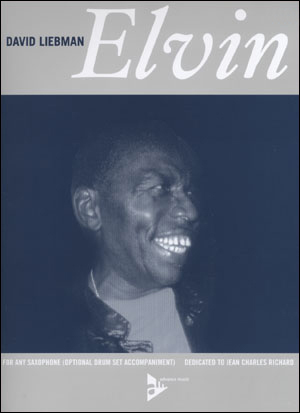 The CD contains both verbal instruction and David soloing over the standards using the techniques described in the book. 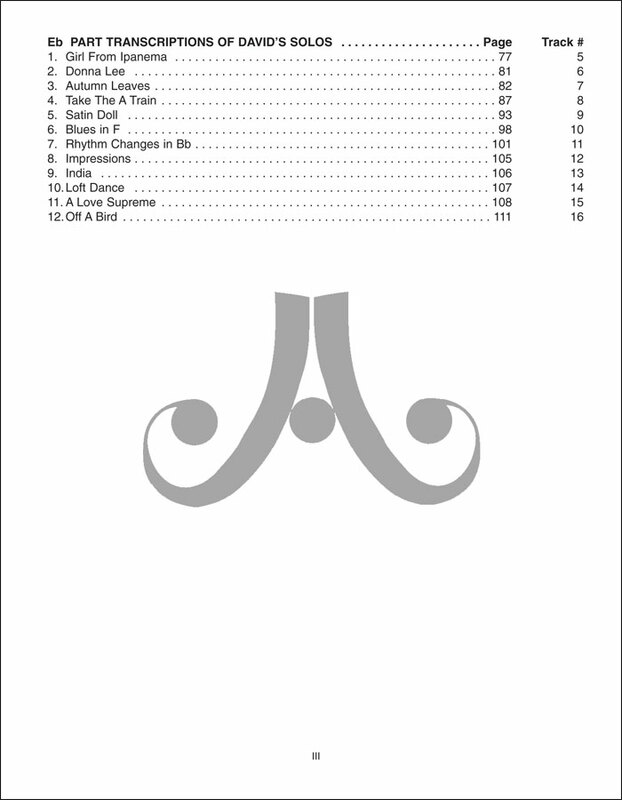 The book contains analysis for each solo and the solos on the CD are transcribed for all C, Bb, and Eb instruments! 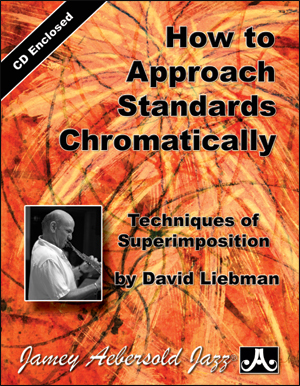 "'How To Approach Standards Chromatically…' Is a slightly different kind of playalong. 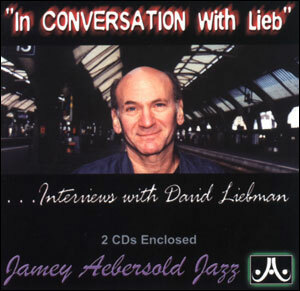 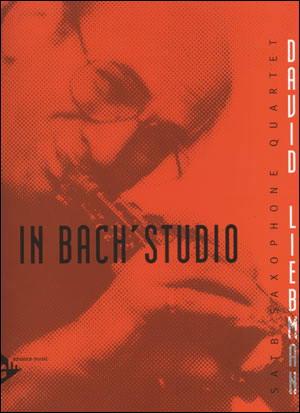 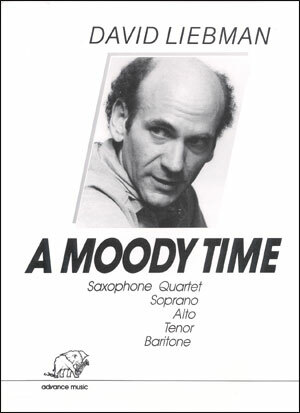 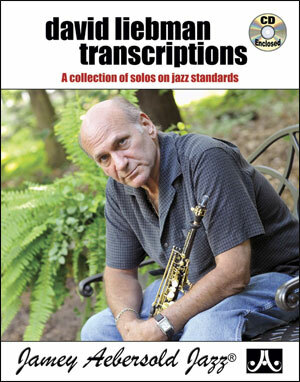 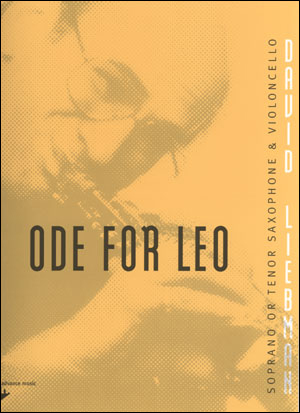 It’s packed with transcriptions of Liebman solos which are meant to be studied as much as played by students. 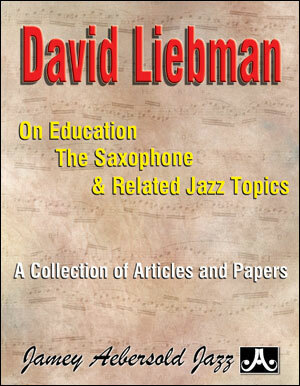 The scope of this book is a bit dizzying: Liebman’s approach is to provide the student with twelve songs and superimposition concepts that progress up the dissonant food chain. 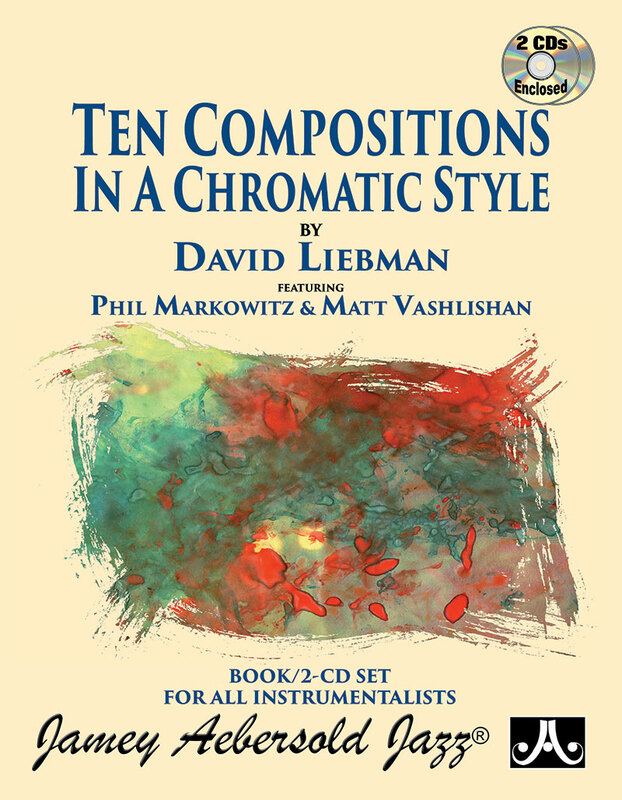 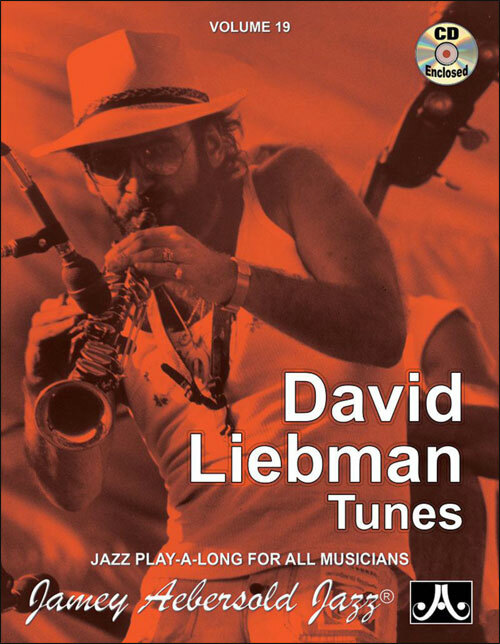 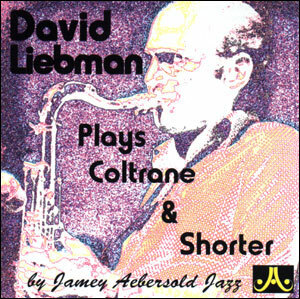 The material Liebman draws upon for contrasting chromatic colors include upper structure chords, tritone relationships, ii-V substitutes, “Giant Steps” movement , side slipping, moving chord cycles, purely intervallic thinking and other advanced concepts. 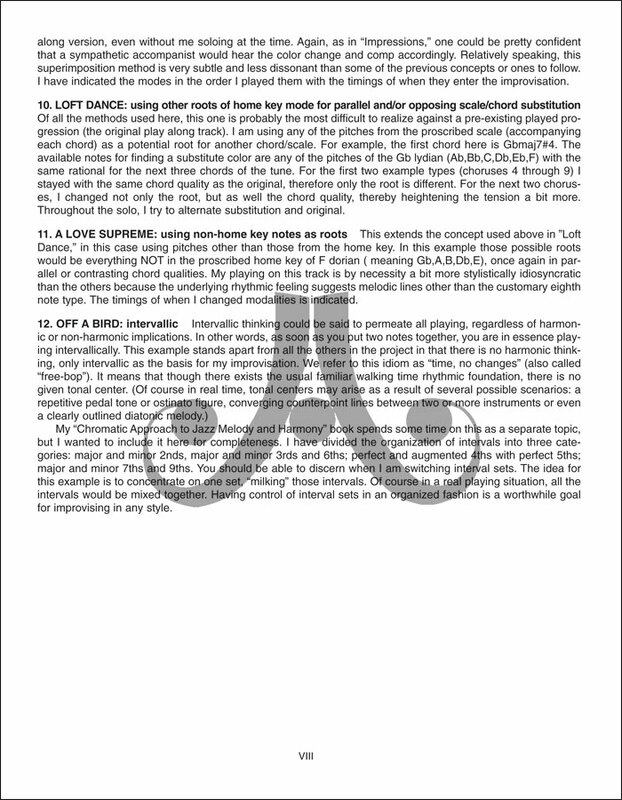 To benefit from this book, you do not need to play along with the CD note for note. 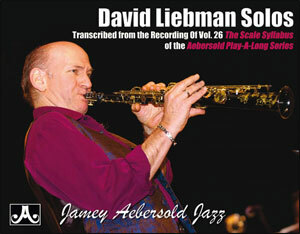 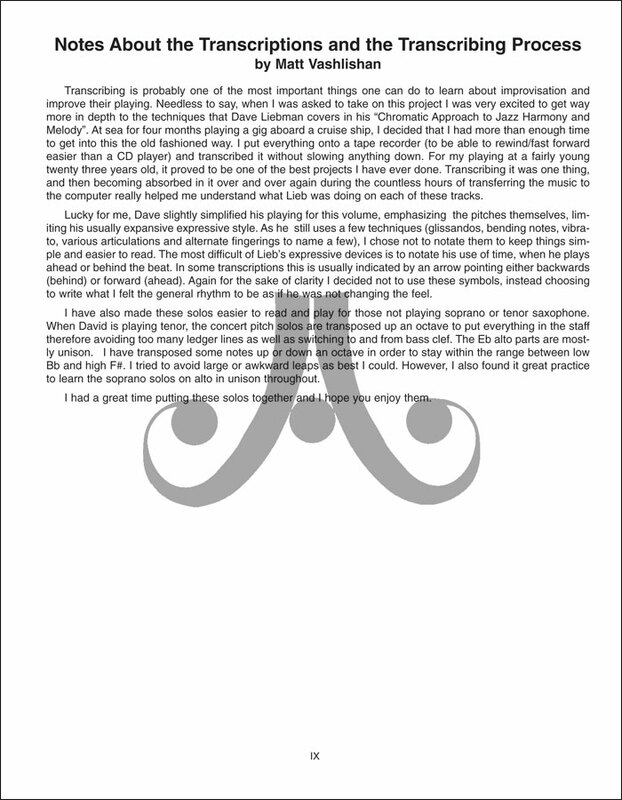 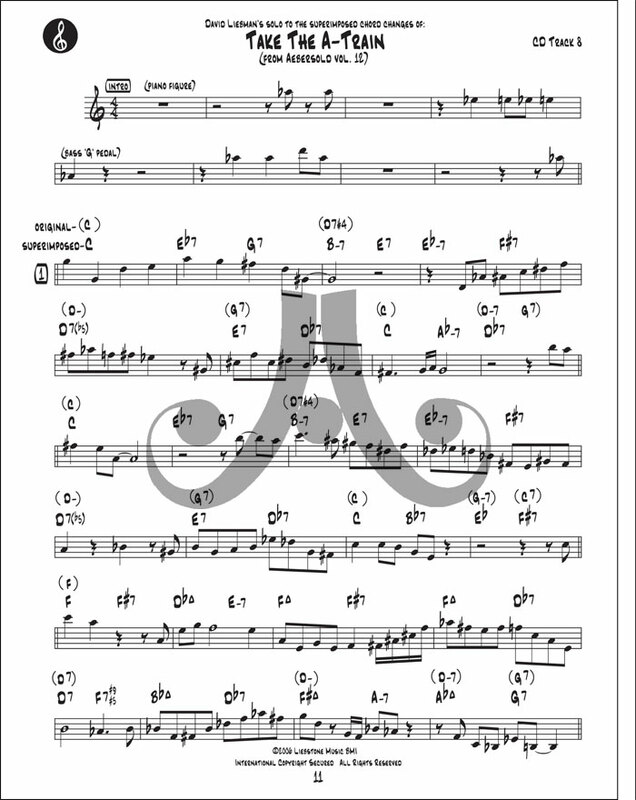 Rather, use Liebman’s detailed written notes to help you recognize and analyze the kinds of lines he plays on each of the superimposed progressions; then try to improvise over the progressions in a similar vein. 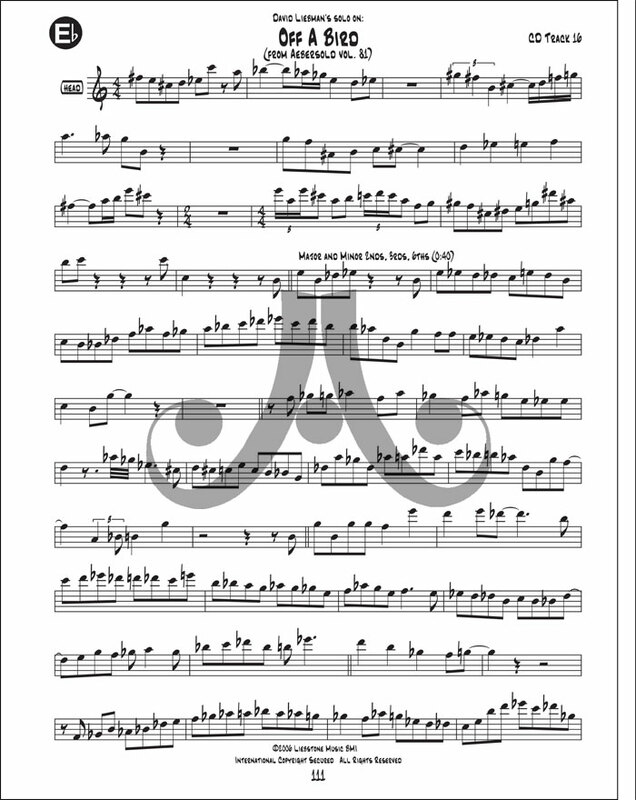 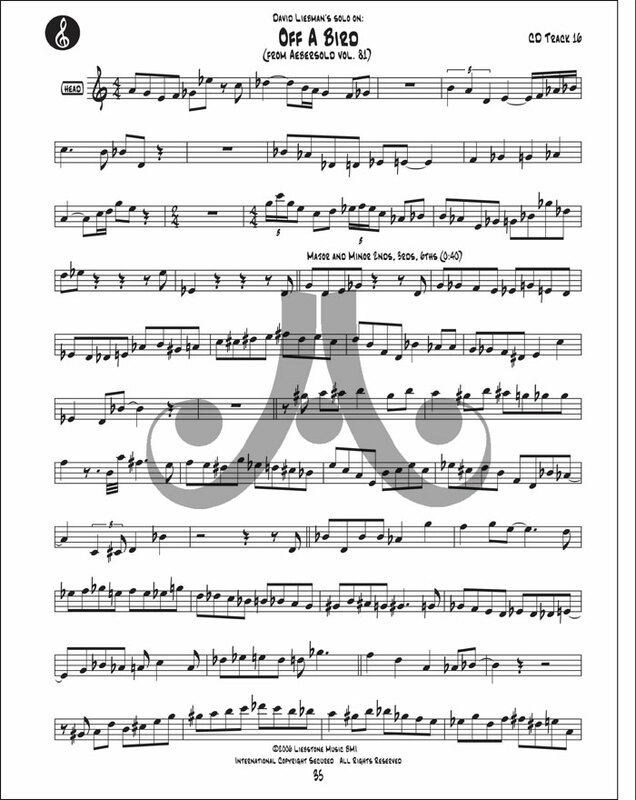 Alto/bari players and other instrumentalists can also get in on the action, as each solo and progression are transcribed in concert key, Bb and Eb. "